that Sweeney has employed a more effective and expansive grassroots political operation than his predecessors. He challenges critics who dismiss Sweeney's efforts as a failure but cautions that the decline in union membership presents a serious crisis for the labor movement. When unions emphasize "grassroots" strategies they can effectively compete against the financial power of big business and can make a significant difference in congressional politics. 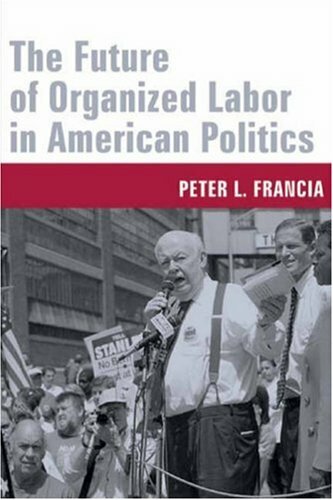 Francia analyzes organized labor's political activities, its coalitions with other interest groups, and its influence on voter turnout, election results, and votes in Congress. He also examines the effects of Sweeney's embrace of progressive causes and labor's increasing willingness to challenge Democrats who vote against labor's interests. For all his successes, Sweeney's tenure has not been without its problems. Labor's presence in American politics is threatened by shrinking membership in unions. Francia suggests that if unions want to remain a viable political force in congressional politics, they must devote more resources to organizing workers. A Different Direction for Organized Labor?